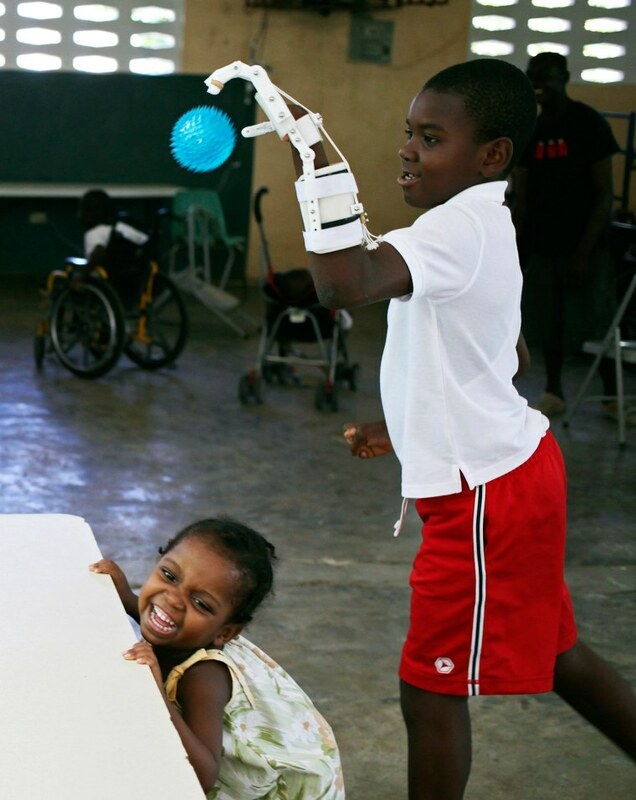 A 12-year-old boy born without fingers has become Haiti's first recipient of a 3-D printed prosthesis, enabling him to play catch with his friends for the first time. Stevenson Joseph, who has lived at an orphanage since he was abandoned at the age of 3, had little hope of treatment in a country where programs for the disabled are rare. But after he met John Marshall, a software engineer on a mission trip to Haiti for Florida-based Food for the Poor, his prospects changed. After months of work to perfect the design, a 3-D prosthesis was fitted to his left hand last month. "It is a great hand," Stevenson says, ticking off his list of accomplishments. "Now I can take a balloon with it. I can score at basketball. I can hold a TV remote and push my friends on their wheelchairs. I can hold a water bottle, a bag. I like it a lot."